The best Mothers Day gifts are both heartwarming and unique! That’s why Winkflash is the best site for creating meaningful gifts for Mom, and our custom photo books are no exception. Gather up your favorite photos from the past year or upload a collection of Mother’s Day pictures. Then, choose a book size and style to get your album started. We offer a large variety of page templates, backgrounds, and custom printed cover options so you can make the perfect Mother’s Day gift that will bring a smile to Mom’s face! 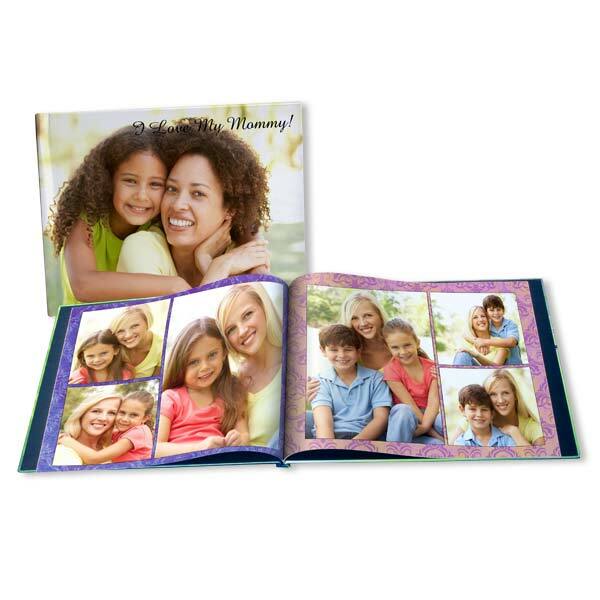 We also offer other photo gifts for Mom in addition to our custom printed photo albums. Create custom printed mugs, photo placemats, wall art and more! Then, design a personalized Mother’s Day card to make a day Mom won’t soon forget!